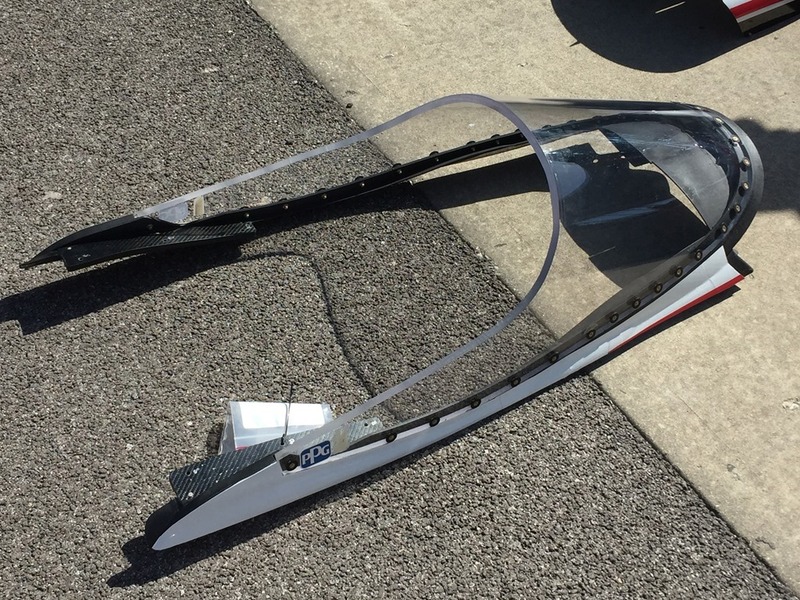 If you want to stir a debate among fans of the NTT IndyCar Series, bring up the topic of cockpit protection. You will instantly get a range of opinions; from do nothing because it will change the look of a car, to put a bubble-canopy on the cars and create a survival cell for the driver that would be the envy of NASA. 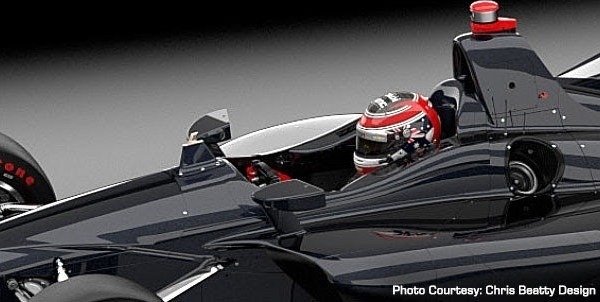 We’ve all seen Formula One’s Halo Device that drastically alters the aesthetics of the car and appears to create a blocked view for the driver. Apparently, the F1 drivers have adjusted to the view with little trouble. The Halo would be effective in protecting a driver from a loose tire striking the driver, but would offer little or no protection from bolts, springs or other smaller pieces of debris potentially striking the driver. 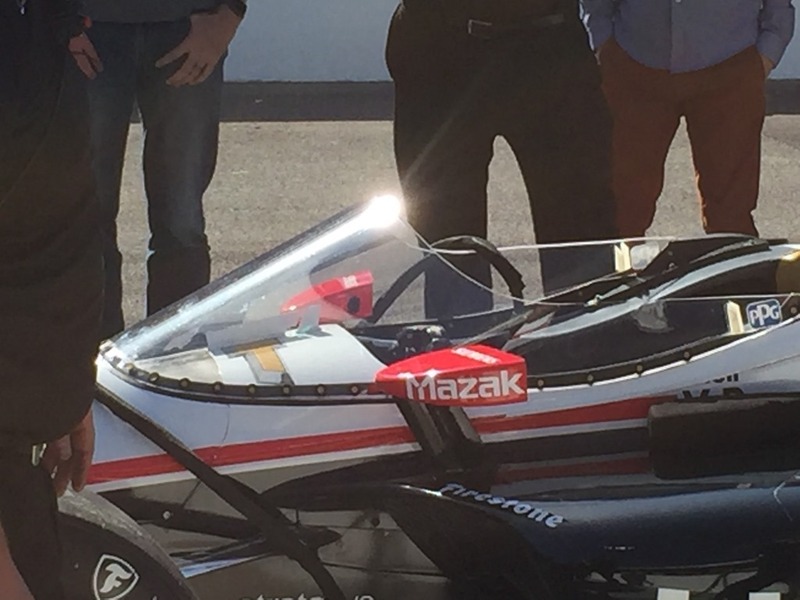 Furthermore, the Halo would create a much more obstructive view for IndyCar drivers on banked ovals. 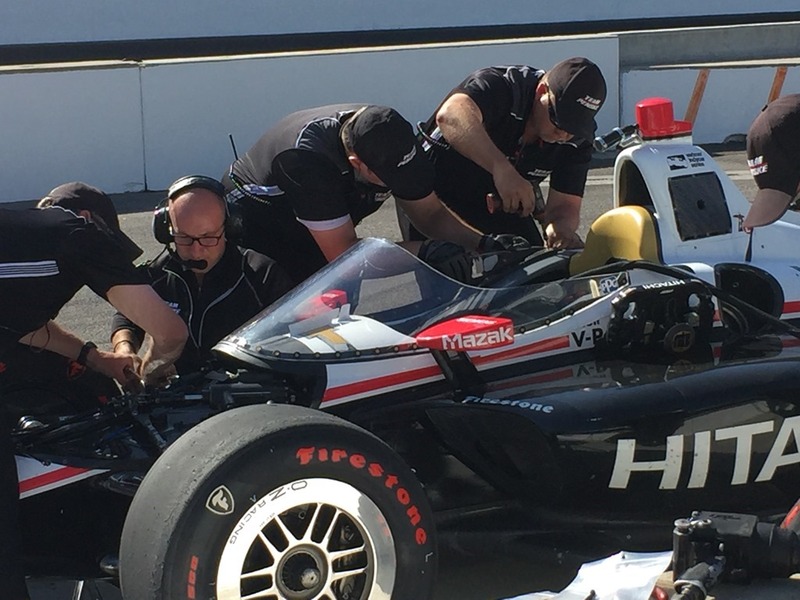 IndyCar conducted a series of tests last year on a clear windscreen. Scott Dixon tested the screen at Phoenix and I was present at the open-test at Indianapolis last April when Josef Newgarden tested it on his car and took the following photos. Reviews have been mixed. While the screen has passed the high-impact testing, it has created more heat in the cockpit for the driver, but more importantly – they have not been able to remove the distortion the driver sees from the necessary curve in the material. It sounds like the series is still pretty far from giving the green light to instituting the windscreen. This past Tuesday, the NTT IndyCar Series introduced sort of a temporary stop-gap solution – the Advanced Frontal Protection (AFP) device. It is a vertical piece of titanium sitting about eight inches in front of the steering wheel. It stands about three inches tall, appears to be three to four inches at its base and is about three-quarters of an inch in width. It was explained that this would help deflect large pieces of debris headed straight for the driver’s head. As you can imagine, there were many opinions floating around in the days after the announcement. Most were from wannabee engineers that felt empowered to thrust their misinformation on everyone else. Some debated whether or not the Dallara was built to withstand this (the device is manufactured by Dallara). Others pointed out that this would have done nothing to help Greg Moore in his fatal 1999 accident at Fontana (in my opinion, there is no safety device that could have changed that outcome).But if you sifted through all of the quotes from the malcontents, there were some fairly reasonable thoughts out there regarding the AFP. If you listened to Trackside on Tuesday night, you heard this device discussed at-length. Yes Curt Cavin now works for IndyCar and is required to follow the company line (that he probably writes as VP of Communications), but what he said made a lot of sense. He emphasized that this is the first phase in an ongoing evolution of cockpit protection. He also emphasized that tesing of the wind-screen is continuing, but the AFP device offers more protection than what the cars had at the last race at Sonoma. The cynics were saying that IndyCar is only taking this step to get the FIA (Federation Internationale de l’Automobile) off of their backs for another year. Others said taking this step would help their case in a wrongful death suit and was their only real motivation. I think that’s a little harsh. 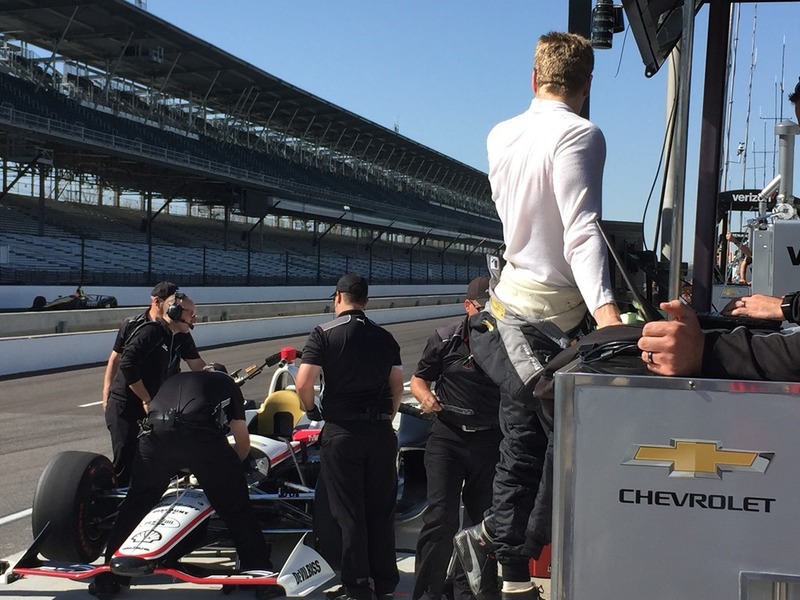 IndyCar is not some giant faceless corporation that only looks at the bottom line. It is a tight-knit company where everyone not only knows everyone’s name – they know the names of each other’s spouses, kids and dogs. When there is an injury or fatality, it strikes a solemn blow to the entire organization. 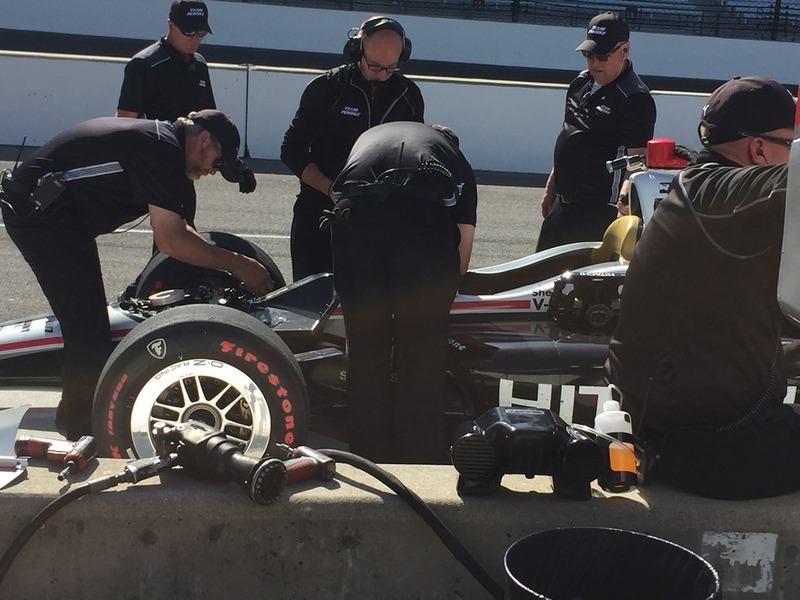 If you thought we fans were shaken by the Robert Wickens injury at Pocono, I’ve got news for you – it rocked every single person that works for IndyCar – all the way from Mark Miles, Jay Frye and Curt Cavin to the bookkeeper, the file clerks and the in-house photographers. Do I think IndyCar were motivated by satisfying the FIA for now? It’s possible, but I firmly believe that they are also doing what they can to offer a little protection versus none at all. Do I think the AFP device will do much good? I really don’t know. My first instinct is to say probably not, but unlike most of these blokes on social media – I’m not ashamed to admit that I know very little about engineering and am not qualified to make such a statement. When James Hinchcliffe was struck in the head during the Inaugural IndyCar Grand Prix, it was a flying piece of debris that had been run over by Justin Wilson. The piece hit Hinchcliffe in the visor and was far above where the AFP device is located. Would the device successfully deflect a tire headed straight for a driver’s head? I don’t know. Jay Frye says the piece has undergone extensive testing and has a high success rate. History has shown that Jay Frye is a man of integrity and is not one just to chant the company line. If he says it will be effective, I believe him. The usual suspects came out in full force in the day following the announcement. Some of you know who I’m talking about. There is one in particular who will not stop chirping until IndyCar installs full bullet-proof canopies on their cars or if IndyCar just stops racing altogether. When Justin Wilson lost his life at Pocono in 2015, Wilson had not even been removed from the car before this cretin took to social media to use this tragedy as a platform for his soapbox. That was the day I unfollowed him on Twitter. I applaud IndyCar for taking their time and finding a correct solution, rather than just bowing to the peanut gallery that only know knee-jerk reactions. If the windscreen causes visual distortion, that’s a bad thing at 230 mph when a driver is trying to thread the needle and figure out where the car can and cannot go. IndyCar has chosen not to tell the drivers to just deal with it. Instead, they are trying to solve the problem with the windscreen and offering up a short-term alternative solution. The AFP device is not a cure-all. In fact, it’s far from it. But it is hardly noticeable and can offer a little more protection than what was there before. The AVP device should not be obstructive to the driver because there was already a telemetry antenna there before. Don’t believe me? Go check out any die-cast model of the DW12 and you’ll see what I’m talking about. It is not the final solution, but it’s merely a first step in a long process. 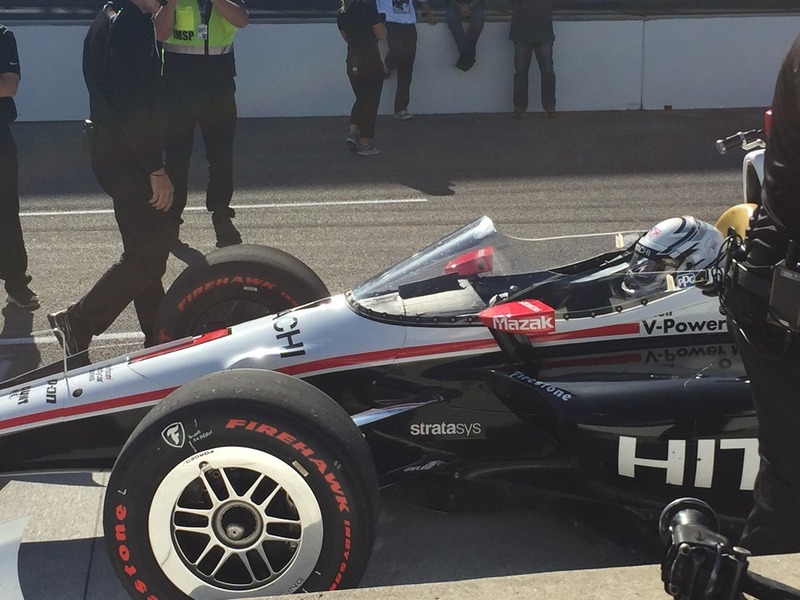 The trolls that were whining and moaning about it in various comment sections, obviously think this is IndyCar’s answer to cockpit protection – far from it. We will first see the AFP device on the cars at the open-test at IMS on April 24. 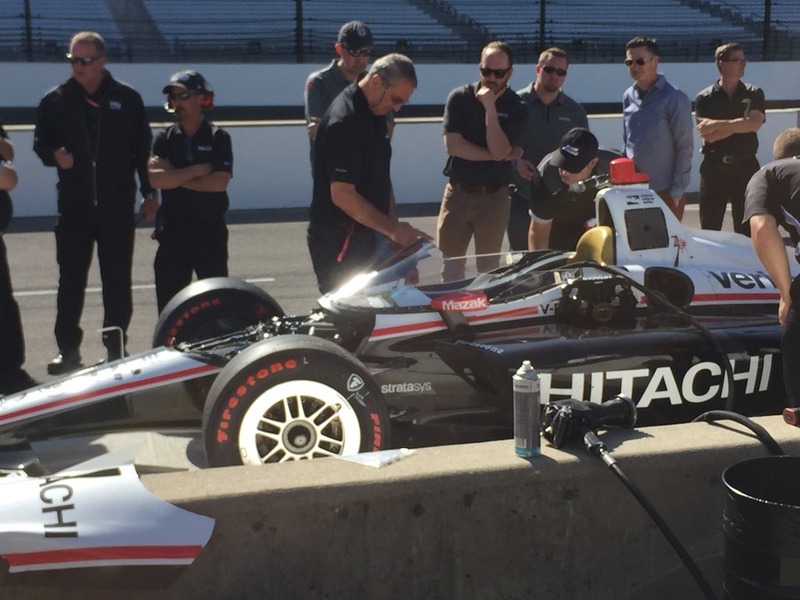 If all goes well, they will be on the cars for the beginning of Indianapolis 500 practice. They will be on the cars for the Indianapolis 500 and everything going forward, assuming everything goes as planned. The AFP device would not have prevented any of the IndyCar fatalities over the past twenty-five years. Unfortunately, that is a longer list than you would think. It includes Justin Wilson, Dan Wheldon, Paul Dana, Tony Renna, Greg Moore, Gonzalo Rodríguez, Jeff Krosnoff and Scott Brayton. But applaud IndyCar for being proactive and trying a short-term solution now, rather than waiting for a final solution to be available years from now. Who knows? Someone may hit part of a brake assembly on the main straightaway at St. Petersburg. It may hit the nose of Scott Dixon’s car and ride up the ramp aiming straight for his visor. If the AFP device deflects that piece at the last possible moment, we will not be mourning the loss of a great champion. I’d say that it is probably well worth the effort. This entry was posted on February 22, 2019 at 4:04 am and is filed under IndyCar. You can follow any responses to this entry through the RSS 2.0 feed. You can leave a response, or trackback from your own site. Why does it seem like so many people only take extreme positions on these things? It’s either the greatest thing or worst thing ever. I’m always in the middle of the road on these things. Do I think the halo looks good? No. Does it bother me that it’s on the cars? Not in the least, and honestly I don’t even notice it anymore. Would the halo have protected Massa from that errant spring? Some say no, in my opinion it would have changed it from a guaranteed hit to a rather unlikely hit because it would have had to thread through several different pieces. Would the halo have saved Jules? Nothing short of a safety car would have saved Jules, that’s not even part of the conversation in my opinion. Similarly, I am neutral on this new AFP from IndyCar. Do I think it will deflect every piece of debris heading toward the driver? No. But I believe it has potential to deflect bigger pieces of debris, and a lot of times any kind of deflection is enough to reduce the energy of the impact and could mean the difference between life and death. So, yeah, I will always prefer they do something as opposed to doing nothing, and this is something so I applaud their effort. I need to see it in person to understand it better. The best thing would be if it never gets race tested. Glad the series decided not to wait for the windscreen to add some protection to the cars. The correction: Jon Beekhuis said on Trackside a couple weeks ago (this was when he and Kevin Lee were doing their semi-regular annual “chat by the side of the track in a rental car during a Spring Training test session”) that the PPG windscreen appeared to have been largely cleared by the drivers, from a visibility standpoint, but that when it went from “put it on the car to make sure the drivers can see through it OK” (because if it fails this test, it’s literally useless) to “send something heavy at it and see if it breaks”, the concept quite literally fell apart (my words, not Jon’s). The impact bit is the hold up for the windscreen (which I totally get, because the challenge of making something transparent that can also stop or deflect a jagged and/or hot 40+ pound object traveling at a 200+ MPH delta is no small feat). The point: I’m not entirely sure that the new AFP wouldn’t have helped James Hinchcliffe’s situation at the Indy GP a few years ago. If the winglet had clipped a theoretical AFP just enough to impart any upward vector to the winglet (even if just a tiny part of it was down at the level of the AFP), maybe it exerts enough of an upward motion to the winglet that it makes more of a glancing blow to James’s helmet, and he avoids getting a concussion. We may never know, but I definitely don’t think the AFP would have hurt (not saying that you were claiming that, George, but I’ve seen some “armchair engineers” claim that the AFP would direct some objects toward the driver’s faces, which I think is a remote possibility, at best). The thought: I agree with basically the entirety of the rest of your post, George. Is it a perfect solution? Heavens, no. But it’s the best solution that’s ready to go on an IndyCar in the next 60 days. And it’s a heck of a lot better than doing nothing, and risking a driver getting hit in the head and suffering a preventable head injury while waiting for the theoretical “perfect” solution. And, like George says, knowing a couple people in the paddock, this is less about the liability of the situation than it is about not wanting to see another member of the IndyCar fraternity be hurt, if it could have been prevented. Kudos to IndyCar for taking action where it was possible in the near term, while continuing to work on the long term solution behind the scenes. I liked the windscreen idea from the get-go, and hoped to see it on the cars sooner rather than later. But if it doesn’t work, or doesn’t yet work, then there’s no point in using it. The new deflector thing was sort of off-putting to me because I’d never heard squat about them even working on a new deflector thing, so it made it seem sorta hasty and a last-minute add-on or something. I hope Indycar is prioritizing the cockpit protection project because it’s important. I hope they are researching fencing and doing whatever they can reasonably do to make it safer. Seems like a reasonable interim idea and the series is pretty much describing it as such. I don’t see any issue with it. I’m curious about it’s effects in a spin. Does it have any effect? Does it help keep the cars on the ground, perhaps, as the centerline wicker is intended to? I’d imagine it doesn’t have a big enough profile, nor is it in the correct location, to have any real effect on the aero of a spinning car. Could be wrong, but doesn’t seem like it would have any impact on that to me, not enough surface area to resist the air and it’s a single point near the center of the car which I don’t believe would arrest the yaw. George…I believe that the windscreen didn’t pass the impact test and that is the reason it’s being delayed. (similar to supersonic jet fighters) inside an open-top canopy is there to be had. don’t have to “reinvent the wheel”; plug and play.